Posted on 30, September 2016 by EuropaWire PR Editors | This entry was posted in Awards, Management, Society, United Kingdom and tagged British Transport Police, Charity Times Awards, CSR Project of the Year, Ian Stevens, John Newland, Mark Smith, Network Rail, Ola Rzepczynska, rail industry, Samaritans, suicide prevention programme, the Rail Industry Suicide Stakeholder Group. Bookmark the permalink. 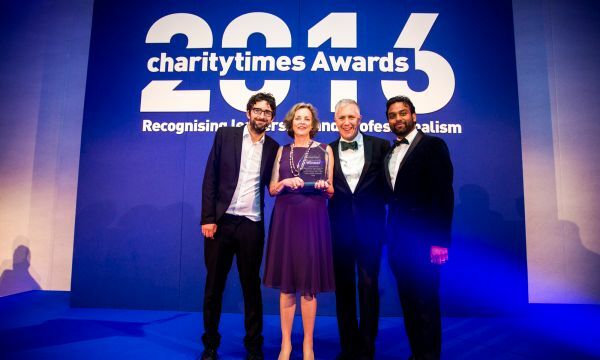 SURREY, 30-Sep-2016 — /EuropaWire/ — Samaritans, Network Rail, British Transport Police and the Rail Industry Suicide Stakeholder Group have won the Corporate Social Responsibility (CSR) award in last night’s prestigious Charity Times Awards. Their suicide prevention programme has been chosen as the CSR Project of the Year, a reward for a culture of care that’s assimilated through the railway family during a six-year partnership. Ian Stevens, who manages the Suicide Prevention Programme on behalf of Network Rail and the wider rail industry, said: “Our work with Samaritans, the British Transport Police and the rail industry to prevent suicides on the rail network is something we are incredibly passionate about, and we feel very proud that our hard work in this area has been recognised. We know that suicide is a complex issue and it is only by coming together that we have the ability to make real progress, and encourage more people to seek the help and support they need before they reach crisis point. The number of suicides on the railways fell by 12% last year, the first time there has been an annual reduction since 2012. Staff working in the rail environment are trained to spot anyone who may be at risk of taking their own life and lead them to safety and sources of support. The programme also creates awareness-raising campaigns that encourage people to reach out for help before they get to a point of crisis, and Samaritans works with rail staff and the public, offering emotional support following traumatic incidents of death or injury. The listening skills shared impact positively beyond the industry into wider society, as well as the family and social networks of the staff involved. The Charity Times Awards took place in London on Wednesday 28 September. Samaritans’ Managing Suicidal Contacts and Trauma Support Training Team have also been nominated for Training Team of the Year at the annual Rail Staff Awards in October. The partnership’s use of 360 video content for Samaritans’ We Listen campaign has been nominated for an innovative marketing award in the Drum Content Awards, with winners announced in November. For more information, images and interviews, please contact press@samaritans.org or call 020 8394 8300. Whatever you’re going through, you can call Samaritans for free any time from any phone on 116 123 (this number is FREE to call and will not appear on your phone bill), email jo@samaritans.org, or visit www.samaritans.org to find details of your nearest branch.